And when it comes to your hedge trimmer, it’s no different. Components like the blades, motor, air filter and handle grips all need regular attention. Let’s take a look at seven super easy ways you can maintain the performance and reliability of your hedge trimmer for years to come. Why?– Every time your hedge trimmer cuts its way through leaves and small branches, trace amounts of sap begins to accumulate on the blades. Over time, this can cause the blades to bind up, reducing the efficiency of the cut. Not only do dirty blades reduce cutting performance, but the added friction can cause the motor to begin to overheat. How? - Cleaning your hedge trimmer blades is as simple as wiping them down with soapy water and a cloth after each use. Applying a lubricant to the blades after cleaning them is also recommended. Try not to leave it too long between cleans and ideally, after every use is best. And finally, ensure that the blades are thoroughly dry before storing the tool away. Why?- For your petrol hedge trimmer motor to function properly it needs a constant flow of clean, cool air. When you use your hedge trimmer, debris and dust particles begin to build up in the filter and reduce the airflow, which results in a lack of engine power, poor performance and overheating. How?- Typically, the air filter is released via a catch or button. Refer to your user manual for more instructions. Once you have removed the filter, gently blow through it and tap it on a solid surface. If it’s heavily soiled, it’s best to replace it with a new one. Never wash or submerge your filter unless your user manual specifically says to do so, as it may cause the fibres to swell making it harder for air to pass through. Why? - Like any cutting tool, every time your blades get to work on the foliage, they gradually over time become blunt. Sharp blades equal sharp cutting, which is exactly what you want from your hedge trimmer. How? - Sharpening your hedge trimmer blades is probably the most time-consuming part of its upkeep. It doesn’t need not be an arduous task though, and the use of a drill with a small cone-shaped filing stone will do the trick. If you don’t have a drill on hand, a flat file will also work just as well. Limit your blade sharpening to once per every 50-hours of accumulated use and go gently to avoid wearing away too much metal. If you’re not confident with this step, take it to your local service center. Why? 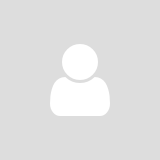 - Loose parts can easily fall off, become lost, or cause damage to the rest of the tool. This can be especially daunting if you are not quite sure what fell off and if it will make it dangerous to continue trimming your hedges. 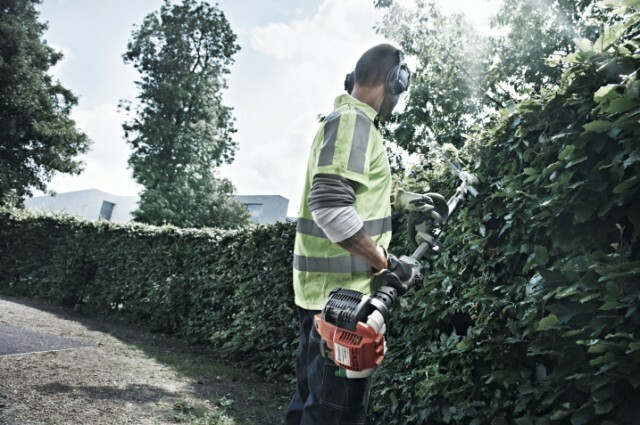 The vibrations that a hedge trimmer produces can cause screws, bolts, and connectors to loosen over time. These are good examples why all tools need regular servicing. How? - Give your hedge trimmer a thorough check over. Using the appropriate screwdrivers and spanners, firmly but gently tighten all visible parts and fasteners. Don’t over tighten them, though, as this can cause damage to the thread and surrounding parts. Always check your user manual before unscrewing anything and don’t switch out one size screw for another. Why? - The more you use your hedge trimmer, the more exposure to moisture and contaminants the blades receive. It is surprising just how quickly erosion can set in and a good lubrication every month will help provide a protective barrier. The lubrication also helps the blades glide over each other smoothly, resulting in less friction and more cutting power. How? - Out of all of the maintenance tasks to perform, this is the easiest. It is best to lubricate the blades after they have had a good wipe down and dry off. A little goes a long way, so don’t overdo it. Why?- Buttons, springs, switches, screws and adjusters can all fall victim to poor maintenance if your hedge trimmer isn’t kept clean. Not to mention, a poorly kept trimmer can run hot as cool air won’t be able to flow freely over the motor. How? - A simple wipe down with a lightly dampened cloth or sponge will do the trick. If you’ve got access to one, use gentle compressed air to blow out built up dirt. Avoid using abrasive chemicals and cleaning solutions and keep the rubbing action gentle. After you have wiped down all of the external surfaces, dry it off properly ready for storing until its next use. Why?- If you store your garden tools in a shed or tool box on your vehicle that is excessively damp or prone to leaks, you’re almost guaranteeing to shorten its lifespan. Moisture will cause metal parts to corrode. The fuel system may become contaminated. And if your hedge trimmer is battery driven, it may result is electrical shorts and electrical component failures. How? - If you don’t already have one, a waterproof and UV resistant canvas case is a great way to protect your gear. If you don’t have one of these, ensure that your hedge trimmer is wrapped in a cotton sheet or towel, placed in a plastic bag and put in its box off the floor. By consistently following the above tips, you will get the most out of your hedge trimmer for many seasons. While not all of these tips need to be performed with each use, it is a good idea to give it a quarterly maintenance check-up to keep it in the best possible condition and at peak performance.